If we work together we can succeed. Mehemea ka mahi tahi taua tera ano e taea. The spirit of Suzanne Aubert lives on today in the work of the Sisters of Compassion. At the time of Suzanne Aubert’s death there were 70 Sisters of Compassion. In the 1930s, true to her plans, many sisters qualified as nurses and over the years sisters gained further qualifications in specialist areas including the care of disabled children. Today, the Sisters of Compassion continue to work actively towards the relief of human suffering. They are engaged in social work, pastoral care, prison and hospital chaplaincies, education, working with refugee and disadvantaged migrant communities, residential and home care of the sick and the elderly and support of people developing home gardens. Suzanne Aubert would be proud of how well the hospital grew and how her mission has developed and adapted to the times. In 1931 the Home of Compassion Hospital became registered as an “A” grade general hospital which continued to train nurses until the 1970s. The building was demolished in the 1980s and a new complex was established on the site operating as a general hospital and rest home for the elderly until 2002. This building is now a place for rest, retreats, conferences and meetings. The site of the residential children’s home until 1988 is now home to the Aubert Child Care Centre. The Company Office of the Sisters of Compassion Limited is nearby. In 1969 St Joseph’s School at Hiruharama was closed and Ranana School was taken over by the Education Department. Today Hiruharama remains a centre for support for the local communities. 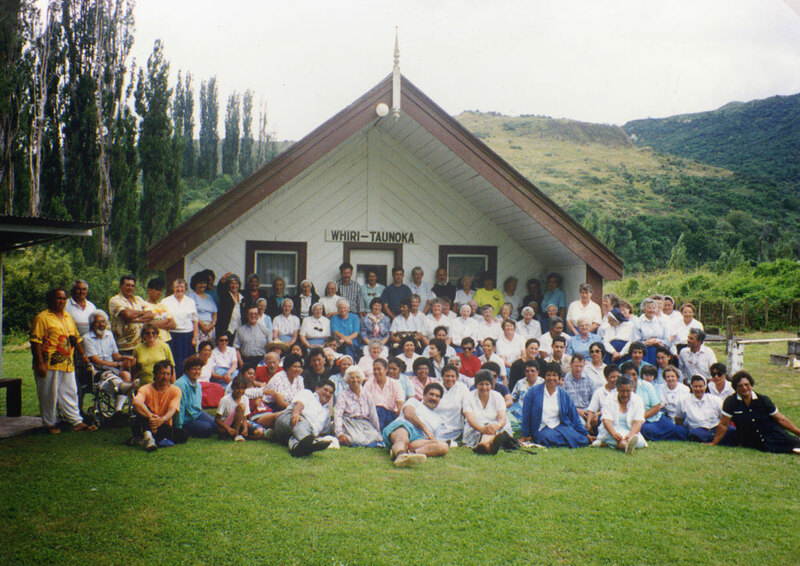 Sisters still live at Hiruharama and are kaitiaki, or guardians, of the pilgrimage site where guests frequently stay in the old convent built by Suzanne Aubert. All visitors are welcome. Boards of directors now assist in the running of the two remaining nursing homes — Aubert Home of Compassion in Whanganui and St Joseph’s Home of Compassion in Heretaunga. Chanel Nursing Home in Fiji is managed by the Sisters with the help of an advisory board. The Suzanne Aubert Compassion Centre in Tory Street, Wellington provides breakfast and evening meals to those in need and outreach services work with migrant families and support the elderly and lonely. In Upper Hutt, 90 Compassion pensioner flats ensure social contact, practical assistance and affordable accommodation for elderly residents who are often housebound. Compassion House in Wellington City offers secure tenancy with affordable rents to community groups, and a building alongside the present- day soup kitchen is used as a creative space. The Mother Aubert Home of Compassion Trust Board was established in 1917 and holds the land, buildings and investment of the congregation in trust for the general purpose of maintaining and carrying on its charitable works.